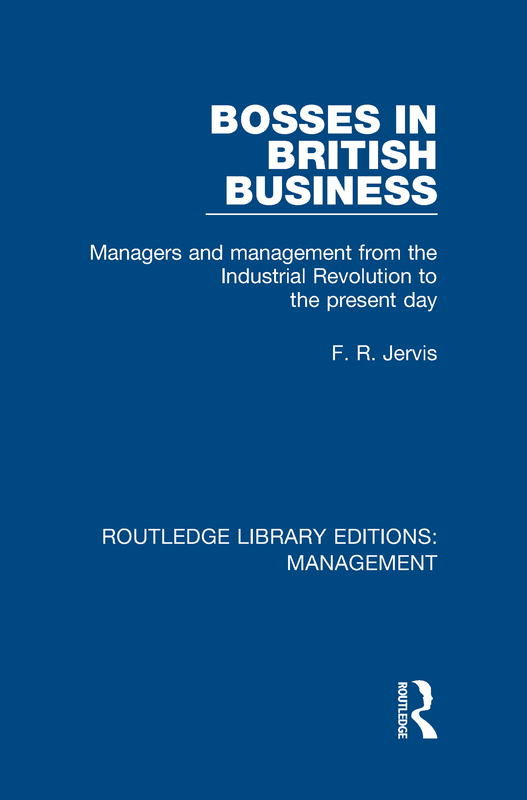 In this volume, first published in 1974, the author provides an introduction to the historical development of management in business. Success and failure in a commercial world can be explained partly in terms of economic forces, but much also depends on the people, on the management of the firms – on the bosses. The author approaches this topic by examining some of the major companies and individuals over the past two hundred years, and examines how apparently secure and profitable companies at times run into great difficulties and shows that, by examining the reasons for success and failure, pitfalls may be avoided and efficiency improved. This book will be of special value to business and commercial students, as well as to the general reader who is interested in the problems of modern industry. The 53 volumes in this set, originally published between 1955 and 1996, draw together research by leading academics in the area of management and provides a rigorous examination of related key issues. The volumes examine management techniques, managing for profit and non-profit organisations, and management training and development. This set will be of particular interest to students of Business Studies.